Citing improved conditions in Haiti, the Trump administration signaled in May that it no longer would extend Temporary Protected Status visas. It warned Haitians to prepare to go home in January when the program expires. Joana Desir came to the U.S. in 2008 to help out her parents, both legal residents. 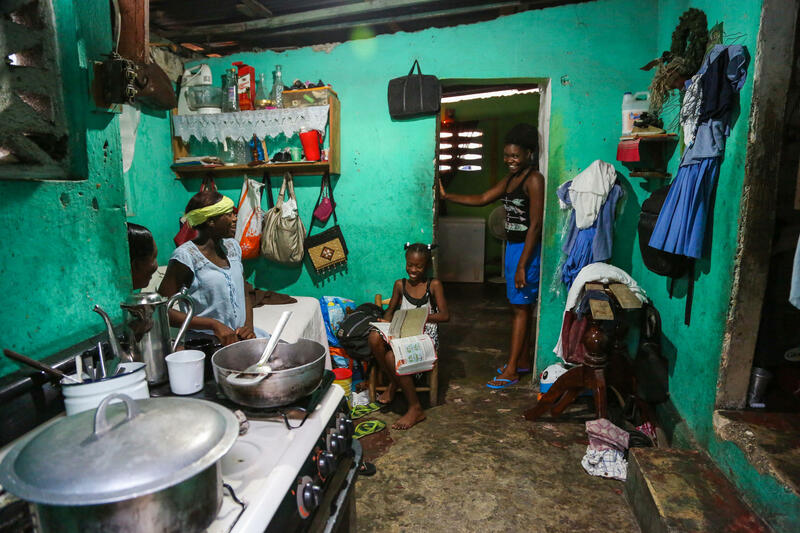 The Altes family in Port-au-Prince worries that they won't be able to survive without help from Desir. 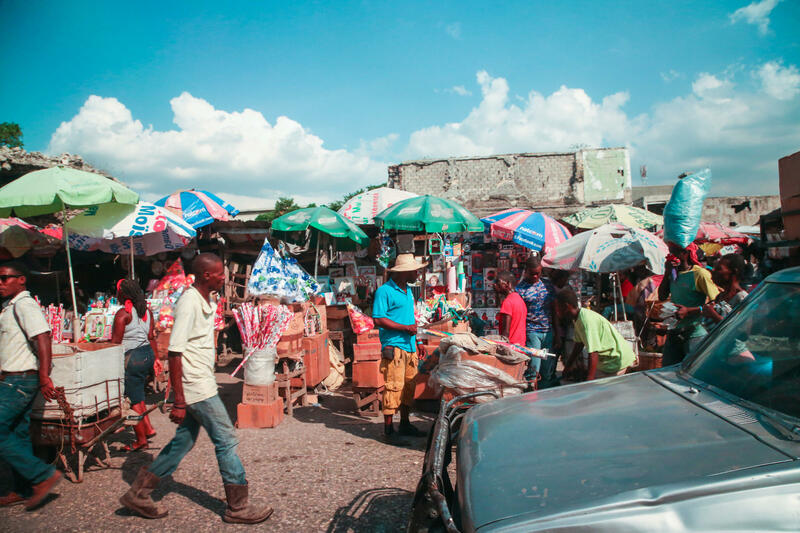 In a hillside neighborhood above downtown Port-au-Prince, Desir's cousin Daniele Joseph lives in a three-room house. Her husband, son and four of her sisters, all Desir's relatives, live in the home. Haiti's president, Jovenel Moise, tells NPR he is worried about economic stability in the region if 50,000 Haitians are sent home. For decades, the United States has provided immigrants from 10 countries, mostly in Central America, what's known as Temporary Protected Status. Under this status, temporary visas allow them to stay and work in the U.S. and prevent them from being forced to return to home countries at war or devastated by natural disasters. The Trump administration says it plans to end the special status. For 50,000 or so Haitians in the U.S. under the program, that means their Temporary Protected Status would expire Jan. 22. Joana Desir is one of those Haitians. On a recent day in Manhattan, the 32-year-old home health care provider is racing between patient visits. By midday, she already has helped transport one of her regular patients, a young girl with a severe respiratory disease, to school, and visited two senior patients in their homes. Soon she'll head back to the girl's school and make sure she gets home safely. "It's a hard job, but rewarding," says Desir. On weekends she picks up a few extra patients — just for fun, she says with a laugh. "Most of immigrants that I know, they have a busy life like me," she says. "I leave home like 5:45 [a.m.] and sometimes I get home by like 9 p.m."
Desir came to the U.S. in 2008 to help out her aging parents, both legal residents. She overstayed her visa and was still in the U.S. when a powerful earthquake struck Haiti in 2010. Hundreds of thousands were killed, and the Obama administration granted Haitians temporary protected status. They were shielded from deportation and given work permits. Critics say the temporary program for Haiti and for others from countries where disasters and wars took place decades ago has become permanent and amounts to a backdoor immigration policy. During her years in the U.S., Desir put herself through nursing school, got a job and rose to supervisor. But she hasn't forgotten those back home, who she says are still hurting. "We have that connection in Haitian families," she says. "Since you succeed, you have to help others — it is a must." It's estimated by the think tank Inter-American Dialogue that all Haitians abroad this year will send home $2 billion. That's nearly equal to Haiti's annual operating budget. In May, citing improved conditions in Haiti, the Trump administration signaled it no longer would extend the temporary visas. It warned Haitians to prepare to go home in January, when the program expires. 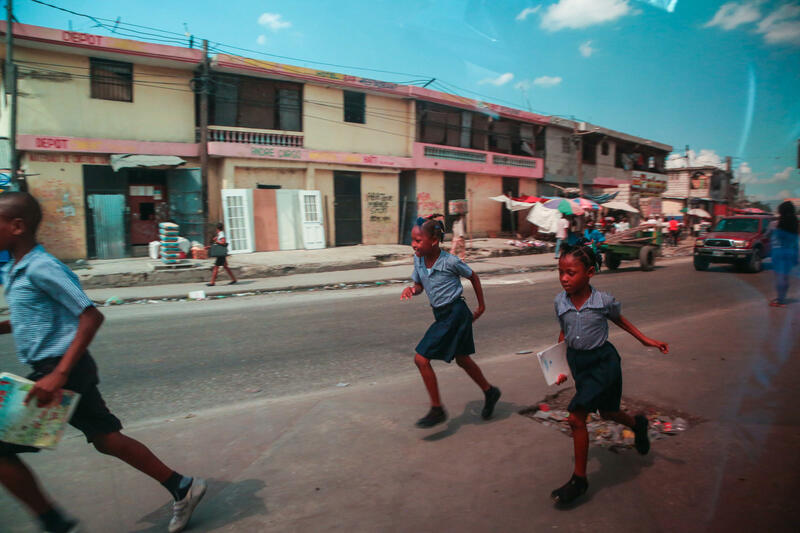 Desir is devastated — and as the news gets back to Haiti, concern is growing there too. Desir has 19 relatives who depend on her for financial support. In a hillside neighborhood above downtown Port-au-Prince, Desir's cousin Daniele Joseph shows me around her three-room home. Seven people live here, including her husband, son and four of her sisters — all Desir's relatives. Joseph says all but the youngest cousin remember Desir. Last month, Desir paid for the young cousin's First Communion. As two of the girls cook dinner — spaghetti with a few onions and chiles — Joseph ticks off everything Desir helps with. After the earthquake, there was money sent to rebuild their home, preschool tuition for Joseph's two-year-old son, multiple shipments of clothes — and the list goes on. Joseph says it will very difficult if Desir is sent home. In the same neighborhood Desir's godmother, Margaret Estefan Altas, paints a much more dire prediction of what will happen to her family without assistance from abroad. 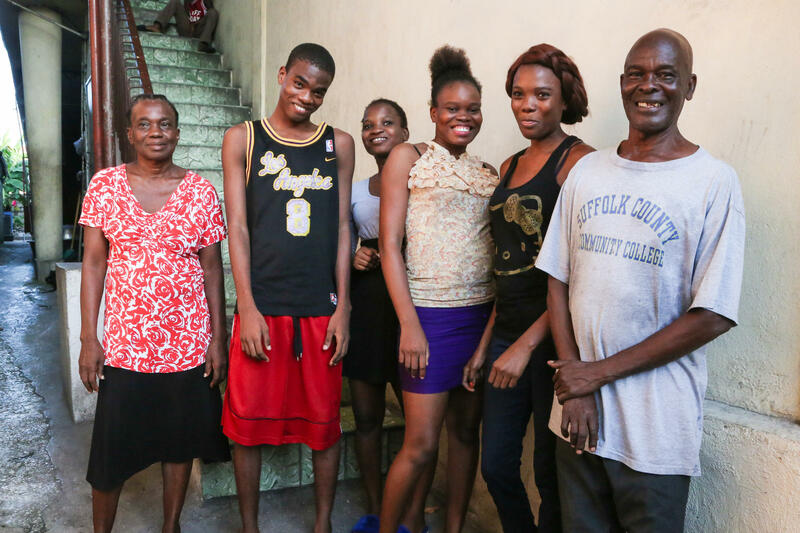 "I call Joana and tell her I have a problem, we have no food — and she'll say, 'I'll do what I can,' " says Altas. "She always comes through." Her husband, who hasn't worked since the earthquake and now has cancer, says it's clear to him the family would starve without Desir's help. Desir pays their annual rent, about $1,300 dollars, and tuition for the youngest son's high school. Altas says she helped raise Desir and considers her a daughter. "These days, I feel more like she is the mother and father," says Altas. Haitian officials have appealed to the Department of Homeland Security to extend TPS. Several U.S. lawmakers, including a bipartisan group from south Florida, have introduced legislation that would let the immigrants stay permanently. Haiti's president, Jovenel Moise, told NPR in an interview that he is worried about stability in the region if 50,000 Haitians are sent home. "If they have to return, we have no other choice — they are our brothers and sister and we will receive them," says Moise — but he is concerned about the loss of U.S. remittance dollars sent to families in Haiti, and the effect of that on the stability of the economy. He said that 25 percent of Haiti's GDP comes from those remittances. 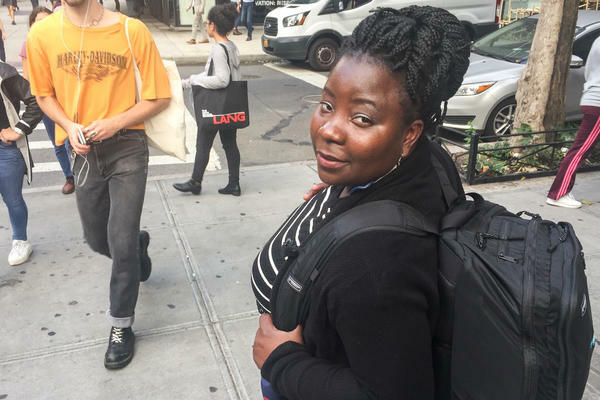 Back in New York, Joana Desir says she can't imagine giving up the life she's built there. "I will always be grateful for America," she says, "but please, we are professional — we want to stay." For now, Desir has been giving away most of her possessions and reducing her belongings to what will fit in two big suitcases. She says she doesn't want to leave — and if the U.S. tells her to go, then they'll have to come get her and drive her to the airport.